Inherency in development and evolution is the idea that aspects of the phenotype are latent in the organism’s material identity and that these features will spontaneously emerge if the conditions are right. This chapter is primarily concerned with inherency of form in the animals (metazoans). Regarding development, inherency means that certain structural motifs (e.g., tissue layers, lumens, segments, appendages) can be readily generated by physical organizing forces acting on tissue masses, with minimal programming by the genome. With respect to evolution, it means that body plans and organ forms will inescapably be characterized by these motifs despite their not having arisen by multiple cycles of selection for improved fitness. The notion of inherency is therefore at odds with the theory of natural selection and its twentieth-century embodiment, the modern evolutionary synthesis. While a recently proposed extended synthesis relaxes the gradualism, gene-centrism, and assumption of unbiased modes of variation of the modern synthesis, it is similarly challenged by inherency, since in most renditions it remains focused on adaptation as the criterion of evolutionary success. Inherency makes generation of form ontologically prior to its uses. It implies that since organisms are limited with respect to potential morphologies, and innovation within these limits may be sudden and unprecedented, the major factor in establishment of new lineages is not competitive struggle in preexisting niches but ingenuity of organisms in using the means at their disposal. The notion that biological forms are limited and predictable clashes with the commonly accepted theory of evolution, which favors the idea that morphology is molded by selection for adaption and arrived at opportunistically. In sciences other than biology, it is commonly recognized that a fixed range of forms is inherent to every type of matter and that variability, where it exists, is only expressed within that range. A familiar example is snowflakes, infinitely variable, but always within the sixfold symmetry dictated by the crystal structure of ice. Liquid water has analogous constraints, capable of forming waves and eddies, and exhibiting mathematically describable order even in the approach to turbulence. The periodic table of the elements provides another case, with protons, neutrons, and electrons capable of generating about a hundred stable, chemically distinct atoms, with molecular weight variants in most atomic species. The elements did not appear all at once at the origin of the universe but “evolved” with cooling and interatomic collisions. This demonstrates that even though forms may be inherent to a type of matter, their emergence can also have a history. The discrepancy between the most popular theory of the evolution of form, natural selection, and the rest of scientific thought concerning the structure of matter is tied to the era when modern evolutionary thinking first arose. In the nineteenth century, the physical understanding of complex materials of the “middle scale,” which includes viscous and viscoelastic substances, but also living tissues and the embryos that give rise to them, did not yet exist (Newman and Linde-Medina 2013). It is only in the past few decades that mesoscale physics has come to be incorporated into the emerging field of evolutionary developmental biology. The twentieth-century version of the theory of evolution by natural selection advanced by Charles Darwin and Alfred Russel Wallace (the modern evolutionary synthesis; MES) had no role for this category of determinants. And whereas the extended evolutionary synthesis (EES) formulated in recent years is much more open to notions of self-organization and biased and “constructive” development (Laland et al. 2015), its theoretical statements do not contend with the implication that major features of animal and plant body plans are inherent and predictable. In this chapter, I focus on the evidence for inherent forms in multicellular animals and show that their existence diminishes and often invalidates incrementalist and adaptationist accounts of evolutionary change. The main objective of the Darwin-Wallace theory and its successors was to provide an account of the observed variety of organismal form and function. The logic of the theory and its postulated mechanism of natural selection was as follows: since biological reproduction is imperfect and external conditions are always changing, organisms can evolve over time if members of a breeding population with features that suit them better to existing or changed conditions (i.e., improved adaptations) contribute relatively greater numbers of progeny with similar features to later populations. Unlike other scientific theories, which typically aim at prediction, the MES posits no preferred phenotypic outcomes in evolution. Indeed, it makes a virtue of the opportunism of its mechanism – the supposition that nearly anything is possible to living things, given enough time (Vermeij 2015). Even Stephen J. Gould, a transitional figure between the MES and EES and an early proponent of the concept of “developmental constraint” (discussed below), famously asserted that if the “tape of life” recording the last 600 million years were replayed, the outcome (with respect to the types of organisms that appeared) would be entirely different (Gould 1989). An associated tenet of the MES is that variations in the script of heredity (DNA sequence being the usual candidate) are random with respect to possible directions of phenotypic change. This must be the case if natural selection is to have the power ascribed to it (“the only explanation we have for the appearance of design without a designer” (Levin et al. 2017)). Biased variation implies that organisms, on the contrary, have an intrinsic propensity to change in preferred directions, independently of the external challenges they may face. Appreciation of the prevalence of bias is a distinguishing advance of the EES over the MES (Laland et al. 2015; Müller 2017). Certain elements that might in principle contribute to a theory of evolution were set aside when the MES was formulated. The most important of these were Lamarckism (inheritance of acquired characteristics), saltationism (abrupt, single-generation phenotypic change), and orthogenesis, the notion that evolution is driven by forces or propensities arising from within the organism itself (see Mayr 1982). The rejection of the first of these became the emblem of the Anglo-American-centered MES due to its illegitimate emphasis (in the form of Lysenkoism) by Soviet agronomists during the Cold War. Lamarckism, however, was less a threat to the theory of natural selection than to the genetic determinism (the notion of genes as the exclusive directors of construction of the phenotype, and later of the “genetic program”) to which it was harnessed in the twentieth century (Newman and Linde-Medina 2013). It is well known that Darwin did not consider the inheritance of acquired characteristics to be inimical to his theory and was increasingly open to Lamarckian modes of variation in the later editions of Origin of Species. 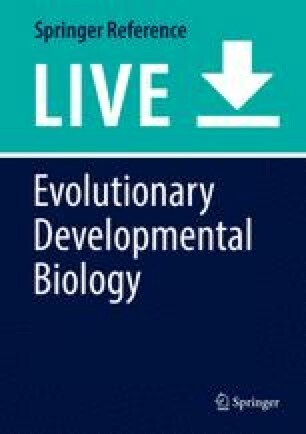 As concepts of inheritance have been broadened in recent decades to include niche construction and epigenetics, moreover, there has been a greater willingness by experimental and theoretical biologists to acknowledge the evolutionary role of phenotypic changes that occur independently of DNA sequence. Significantly, acquired modifications, now conceptualized as the outcomes of developmental and phenotypic plasticity, can demonstrably be propagated across generations and, with reinforcement by subsequent genetic change, become heritable (reviewed in Laland et al. 2015). Saltational evolution , another proscribed mode in the mainstream theory, has also gained attention and respectability over recent years, and is also featured in the EES. The main arguments that had been mounted against it in the past were the complexities (due to the many cycles of selection required) of adaptation to an ecological niche, and the resulting intricacies of organismal structure and function. The mathematician R.A. Fisher, a founder of the MS, advanced a geometric argument in which the phenotype of an evolving organism was represented as a point in a multidimensional state space, with the dimensions corresponding to the organism’s traits. Fisher showed (in the context of this simplistic model) that small random changes (brought about by mutations in “genes of small effect”) were mathematically more likely to move the system a state of improved fitness than large random changes (via “genes of large effect”). Correspondingly, using an argument carried over from the pre-Darwinian zoologist Georges Cuvier, the writer Richard Dawkins stated “[o]rganisms are extremely complicated and sensitively adjusted pieces of machinery. If you take a complicated piece of machinery, even one that is not working all that well, and make a very large, random alteration to its insides, the chance that you will improve it is very low indeed” (Dawkins 1996, 98). While, for these reasons, the MES has been committed to gradualism (as were both Darwin and Wallace, who saw it as essential to their theory), new findings in ecological and evolutionary developmental biology have provided compelling counterexamples. Epimutations (typically resulting from altered DNA methylation patterns) can change the form of an organism in an abrupt fashion and be propagated over successive generations. A change in floral symmetry from bilateral to radial in the toadflax plant Linaria vulgaris was described by Linnaeus in the seventeenth century, who noted that it bred true. Much later the basis of this heritable change was identified as the silencing by methylation of the cycloidea gene within a single generation (Cubas et al. 1999), that is, not by “imperceptibly” (Darwin’s term) gradual changes in phenotype over many reproductive cycles due to genes of small effect. This “monstrous form” (so-named by Linnaeus) was no less adapted to its world than the normal variety. In animals, the gain (e.g., by transposon insertion) or loss (e.g., by deletion) of enhancers for developmental signaling factors can lead to abrupt changes in phenotype. If such cis-regulatory changes affect embryonic morphogenesis in a region- or organ-specific fashion (as occurred with certain skeletogenic BMPs in stickleback fish, and possibly humans (Indjeian et al. 2016)), the resulting novelties can enable their bearers to explore niches adjacent to that of the originating population, in contradiction to the supposed disqualifying role of genes of large effect in the classical theory. Finally, introgression of even one new gene via conspecific breeding or congeneric hybridization can import a new adaptive function into a lineage despite the function not having evolved in the recipient species (Arnold and Kunte 2017). This appears to be the case with the ornamental head crest in domestic and wild rock pigeons, all of which (even when otherwise distantly related) carry the same gene for a variant growth factor receptor (Shapiro et al. 2013). The third element banished from mainstream evolutionary theory with the rise of the MS was orthogenesis, the demonstrable occurrence (in the words of the early developmental geneticist A.H. Sturtevant) of “‘directive’ evolution in characters that can not [sic] be supposed to be of selective value” (Sturtevant 1924). Years before the synthesis was consolidated, Sturtevant acknowledged that “There is probably no evolutionary process about which more obscurity hovers than that of orthogenesis,” which “is often held to be incompatible with the view that evolution results from the action of natural selection on random variations” (Sturtevant 1924). Though the MES founders chose to ignore or marginalize such phenomena, they have been embraced by more recent investigators with terminology like “developmental constraint” and “developmental bias” (reviewed in Laland et al. 2015, and Müller 2017). Developmental constraint has been identified in comparative embryological studies of various systems (see chapter on “Developmental Constraints”). A common question is whether unoccupied regions of “morphospace” (all the potential structures that could be generated from the system’s components if there were no constraints) are due to natural selection for adaptive advantage or just mechanistic infeasibility. Evidence of directional bias has been discerned in the form of an increase of segment number in centipedes along temperature clines (Vedel et al. 2008) and increase in brain size in primates as a function of the evolution of socialization (Street et al. 2017). Such studies, however, are not accompanied by theories or rules that would allow generalization to other cases. As with the acknowledgment of plasticity and saltation, incorporation of constraint and bias has broadened the terms of evolutionary discourse (Laland et al. 2015; Müller 2017). Nonetheless, according to one of the main proponents of the EES, “It would seem that contemporary evolutionary biology does not provide us with adequate conceptual tools specifying how to think about the causal role of phenomena like developmental bias” (Laland 2015). Evolutionary developmental biology (evo-devo ) emerged in the last years of the twentieth century in response to the historically convergent recognitions that (i) transformations of developmental processes can produce evolutionary innovations, (ii) macroevolution is not straightforwardly attributable to cycles of genetic change, and (iii) organisms have inherent organization (reflected even in “monsters,” “forms which lack adaptive function while preserving structural order” (Alberch 1989)). Some versions of evo-devo acknowledge these insights while holding to opportunistic natural selection as the main basis for the origination of biological form. Others instead advance the view that the major structural motifs of animal and plant body plans are manifestations of the material properties of multicellular entities (Linde-Medina 2010; Müller 2017). This latter perspective implies that physical organizing effects are not only sources of morphological variation, but that the characteristic structural motifs of animals and plants (e.g., segments, layers, lumens, branches, leaves, tooth cusps, digits) are largely inherent and predictable. In this view, natural selection would have, at most, the modest role of culling among a range of quantitative variants of inherent forms. Further, many structures will be “neutral morphologies” with respect to fitness (Bonner 2013), perhaps recruited to functions only after the fact. Challenged by the defenders of the MES as to how the elaboration of complex forms from simpler ones can be explained, other than by successive rounds of selection on small random variations ever-better adapted to external needs, advocates of the EES reply that the variations are sometimes not small, sometimes nonrandom, and sometimes produced in interaction with the environment. Notwithstanding a focus on expanded sources of variation, however, adaptation as the motor of evolutionary change is still emphasized (Laland et al. 2015). Inherency inverts the terms of the challenge: finding ways to survive is what organisms do regardless of how they have acquired their traits. Evidence for this can be found in frequent establishment of invasive and introduced species, of new species arising from hybridization in plants and some animals, and of novel morphotypes attributable to introgression of single genes, as mentioned above. In each of these cases forms arise in a way disconnected from cycles of adaptation. Most importantly, they can be passed on because organisms find ways of using them after they appear, or if they are simply unburdened by having them. If natural selection , biased development, facilitated variation, and so forth (see Laland et al. 2015) do not provide an explanation for why organisms exhibit the actual forms they do (clearly among the most important questions for a theory of evolution), what does? Here the physics of mesoscale materials can provide some answers. Both animals and plants have intrinsic morphogenetic properties that caused them to produce restricted arrays of characteristic (and taxon-specific) morphological motifs over their separate evolutionary trajectories. There is a literature on this phenomenon for each of these groups (Newman and Niklas 2018). Here I will focus on animals and summarize current knowledge of their inherent forms. The animals (or metazoans) arose roughly 700 million years ago from populations of cells – holozoans – which were also ancestral to present-day unicellular choanoflagellates (reviewed in Newman 2016a). In present-day metazoans, cell-cell attachment is mediated by members of the cadherin family of cell adhesion molecules (CAMs). Metazoan cadherins (but not those of pre-metazoan holozoans) contain a unique transmembrane domain that permits cells to remain cohesive while they move past one another (reviewed in Newman 2016b) making the resulting cell masses behave like drops of liquid (Forgacs and Newman 2005). Because biological functions (cell-cell adhesion instead of molecular cohesion, undirected cell motility instead of Brownian motion) are responsible for the unique capacity of metazoan cell clusters to have the “generic” (i.e., physically typical) properties of liquids, the resulting category of matter has been referred to as biogeneric (Newman 2016a). All animals, even the “basal” (anatomically similar to the paleontologically earliest, and genetically simplest metazoans (the sponges and the single extant placozoan)), have the requisite cadherins, and their transmembrane linkage has no counterpart in any other sequenced organisms (reviewed in Newman 2016b). The “liquid-tissue” state enabled by metazoan cadherins was thus among the primitive defining conditions of animal life. Liquids have a number of emergent features, none of which could have been a target of selection in the transition (whether gradual or abrupt) between ancestral colonial holozoans and liquid-like protometazoans. Liquids minimize their surface free energy by assuming the geometry with smallest surface-to-volume ratio, a sphere. This is thus the default morphology for embryos and newly formed tissue primordia. In liquids that contain two different kinds of subunits (molecular species, in purely physical examples), one of which has greater affinity for its own type than the other, phase separation occurs. In extreme cases, one liquid phase will completely engulf the other, but more generally the interface can be curved or even flat. This is precisely what takes place in co-aggregates of cells in which the homotypic and heterotypic adhesive strengths differ from each other (Forgacs and Newman 2005). The layering during gastrulation in some animal embryos has been attributed to cohesivity differences (reviewed in Newman 2016a). Another gene product that distinguishes metazoans from all other life forms is the secreted protein Wnt (reviewed in Newman and Bhat 2009). Wnt mobilizes conserved mechanisms of cytoskeletal reorganization that predated the metazoans to make the surfaces of cells nonuniform along their apicobasal axes (A/B polarization). Analogously to polar molecules which spontaneously organize into micelles in water, liquid tissues containing A/B polarized cells will form lumens and interior spaces (Forgacs and Newman 2005). Tissue layering and lumen formation, fundamental features of all animal embryos, are thus inherent forms of the liquid-tissue state of living matter. Two more molecular systems, both absent in basal metazoans, permitted the emergence of new morphological motifs that defined the body plans of the diploblastic (i.e., two-layered) cnidarians and ctenophores, the simplest of the eumetazoans. One of these was an alternative Wnt-activated signaling pathway that caused cells to be polarized in their shapes in addition to the Wnt-induced surface polarization mentioned above. This “noncanonical” Wnt pathway leads cells to align and intercalate, causing the tissue mass to narrow in the direction of intercalation and elongate orthogonally to it. These phenomena, termed planar cell polarization (PCP) and convergent extension (reviews in Forgacs and Newman 2005), are biogeneric counterparts of the alignment of polymers or anisotropic nanoparticles in liquid crystals, which similarly deviate from the spherical default shape of liquid drops (reviewed in Newman 2016a). The other morphogenetic functionality that distinguishes eumetazoans from basal metazoans is the planar extracellular matrix (ECM) layer known as the basal lamina. This structure is absent in the placozoan and most sponge species but is present in all diploblasts and triploblasts (bilaterians) (reviewed in Newman 2016b). The formation of a basal lamina depends on the cross-linking of subunits of type IV collagen (a protein produced even by basal metazoans) by the enzyme peroxidasin, which is a novelty of eumetazoans. By having basal laminae, eumetazoans exhibit true epithelial issues (reviewed in Newman 2016b). These biogeneric counterparts of elastic sheets, in synergy with convergent extension (the other apomorphic trait of diploblasts, described above), added appendages, tentacles, and tissue ridges, folds and clefts to the repertoire of inherent, essentially inevitable animal forms. Triploblasty, the three-layered embryonic configuration from which most extant animal species develop, enabled the generation a whole new array of inherent forms. A third tissue layer came to be sandwiched between the two epithelial germ layers in one or more diploblastic ancestors (reviewed in Newman 2016b). The evolutionary appearance of the third layer was dependent on the introduction of additional novel gene products (mainly ECM molecules such as fibronectin) that led to the disaggregation of epithelia to form loosely packed mesenchyme, the embryonic, and presumably ancestral, form of connective tissue. Mesenchyme and connective tissue, lacking the direct integration of cell motility and attachment, are not liquid tissues. They are nonetheless biogeneric materials, variously viscous, viscoelastic, or solid, depending on the composition of their ECMs. Mesenchymes have their own characteristic inherent forms, most prominently cell condensations, wherein groups of cells that start out separated by ECM are drawn closer to each other, forming transient focal epithelioid clusters. These can influence the fate of overlying epithelial sheets by a process known as epithelial-mesenchymal interaction, and participate in the formation of appendages (reviewed in Forgacs and Newman 2005). Because of these inherent organizational propensities, triploblasts have more complex body plans than diploblasts and, in contrast to the latter, have true organs. Acoelomate (lacking a body cavity between the body wall and digestive tube) triploblasts such as flatworms have ovaries and testes, and ganglionic clusters of neurons. In coelomate triploblast lineages (e.g., arthropods, mollusks, chordates) organ complexity increased dramatically. The interaction of body surface (ectodermal) epithelia with its underlying mesenchyme produced, in various species, bristles, hairs, feathers, teeth, and limbs, while the interaction of body lining (endodermal) epithelium with its overlying mesenchyme become intrinsic (villi, crypts) and extrinsic (liver, pancreas) elaborations of the digestive tube. Thickening and thinning, invagination and evagination, and folding and branching of composite epithelial-mesenchymal layers in other regions of the developing embryo mediate the formation of the cardiovascular, pulmonary, and urogenital organs, as well as various glands. The formal similarity of the outcomes of these common processes in different triploblasts speaks to the inherency of the generated forms (reviewed in Newman 2016b). Finally, it should be noted that complex tissues, particularly those of triploblasts, are potential loci of processes of pattern formation (processes generating regular geometric arrangements of cells) that are also inherent, in the sense that they can be brought into existence as emergent effects of slight changes in the relationship of existing components and networks (Forgacs and Newman 2005). For example, certain gene regulatory circuits have a propensity to undergo temporal oscillation, and cells containing such circuits will spontaneously synchronize within a tissue domain. This creates a spatially extended field of cells in identical biochemical states, poised for concerted response to an external regulatory factor. This coordination occurs along the primary axis of vertebrate embryos, for instance, where the periodic expression of the transcriptional coactivator Hes1 acts as a “gate” that allows blocks of synchronized cells to successively coalesce into somites when they grow sufficiently distant from the tail tip as the embryo elongates (Hubaud and Pourquié 2014). Thus, three processes with independent physiological or developmental origins need to have been mutually tuned for somitogenesis to occur, but the run up to this “sweet spot” could not plausibly have involved selection for any enhanced fitness conferred by axial segmentation . Similar considerations pertain to reaction-diffusion mechanisms like those theorized by the mathematician A.M. Turing as the “chemical basis of morphogenesis” (Turing 1952). These employ ordinary biosynthetic and cell-cell transport or communication processes of animal tissues, which if tuned appropriately can give rise to periodic or quasi-periodic structures, such as pigment stripes on fish skin, mammalian hair follicles, avian feather buds, and the endoskeletal elements of vertebrate paired appendages (reviewed in Kondo and Miura 2010). In the latter case, a subset of interaction parameters was evolutionarily fine-tuned to produce the tandem arrangement of bones, with proximodistal increase in number, of the tetrapod limb (Newman et al. 2018). As with the somitogenesis mechanism, there is no continuous gene-morphology mapping that could have arrived at the pattern gradually. The stasis of the tetrapod limb motif once its generative network emerged, despite multifarious adaptive changes over long periods of evolution, was remarked on (as “similar bones, in the same relative positions”) by Darwin himself. The concept of inherency relates to a tradition of evolutionary thought outside of, and parallel to, the Darwinian-Wallacean one. Roots of it can be found in the philosopher Immanuel Kant’s (1724–1804) notion of “purposive organization,” but not until physics itself moved beyond exclusive Newtonism did evolutionists begin to seek analogies, and eventually explanations, for morphological change in natural processes. Jean-Baptiste Lamarck’s (1744–1829) pouvoir de vie, an inherent complexifying force (different from his influence des circonstances, the “Lamarckism” of the popular imagination), the Naturphilosophie of J.W. von Goethe (1749–1832) and his followers, and related ideas on “laws of form” of Étienne Geoffroy Saint-Hilaire (1772–1844), William Bateson’s (1861–1926) oscillatory theory of repetitive structures, D’Arcy Wentworth Thompson’s (1860–1948) physicalist concepts of growth and form, and Turing’s morphogenesis as dynamical symmetry breaking (Turing 1952) are just a few landmarks in the development of this approach (reviewed in Newman and Linde-Medina 2013). It can be seen from the foregoing that inherency is not merely complementary to the Darwinian paradigm, but is at odds with it. In contrast to notions of plasticity and nongenetic inheritance, of saltation and genes of large effect, and of developmental constraint and bias, all of which were rejected by the MES at various points but are now cautiously readmitted, or even embraced (Laland et al. 2015), inherency is impossible for the mainstream theory to accommodate while retaining the idea of adaptation as the major driver of evolutionary change. The recognition of inherency goes beyond general inferences, however valid, about development, plasticity, or mutation as sources of variation for selection (reviewed in Laland et al. 2015). It specifies what forms to expect (Newman and Müller 2005), allowing selection only a fine-tuning (i.e., microevolutionary) role. Indeed, in this perspective major transitions in animal evolution are interpretable as a progression of material capabilities rather than (as in the standard narratives) the outcome of opportunistic cycles of adaptation (Newman 2016a). While this chapter has focused on inherency of multicellular structural motifs, a case also can be made that the functional capabilities of complex organisms have an inherency of their own. Here the intrinsic modes played out over evolution are not those predicted by a set of generic principles (the physics of mesoscale materials), but rather the activities with poorly understood origins that define cellular life. Animal organs – hearts, lungs, intestines, kidneys, skin, glands, bones, muscles, nerves – can be seen as the multicellular embodiment of functions native to individual cells – transport, respiration, digestion, excretion, protection, secretion, support, motility, excitability. To perform these tasks in multicellular organisms, cell differentiation, which allocates these ancestral functions (or portions of them), to novel cell types, first had to evolve. It is notable how many of the “master transcription factors” at the apexes of cell differentiation regulatory hierarchies appeared in the immediate unicellular holozoan ancestors of the metazoans, or coincident with their emergence (reviewed in Ruiz-Trillo 2016). Understanding how the inherent functions of multicellular organisms reflected in differentiated cell types came to associate and integrate with the morphogenetic, i.e., structure-generating, processes inherent to these organisms to generate present-day animal bodies and their organs (and their counterparts in plants), may be the next frontier in evolutionary developmental biology.